Givens Givens Sparks partner was selected to four invitation-only awards reserved for the top attorneys in the nation. After litigating a pedestrian injury case which resulted in a $30 million jury verdict late last month, Givens Givens Sparks’ attorney Robert Sparks was selected to four top tier invitation-only attorney recognition lists, including: 2017 America’s Top 100 High Stakes Litigators®, National Trial Lawyers Top 100 Trial Attorneys and Top 40 Trial Attorneys Under 40, as well as the Million Dollar Advocates Forum. Managing partner Robert Sparks was named to the High Stakes Litigator list alongside fewer than 0.5 percent of active attorneys in the country, placing him in a competitive class of his peers. To meet the criteria to be considered, Sparks verified that he had litigated a case with at least $2 million at stake, either in damages or in the value of a business and was then screened through America’s Top 100 Qualitative Comparative Analysis. The analysis for all four of the recognition lists included a review of Spark’s professional experience, litigation experience, significant case results, representative high stakes matters, peer reputation, and community impact. 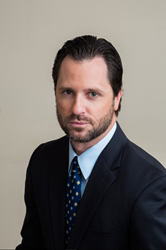 Sparks is the lead trial attorney for the personal injury division of his firm, which has recovered millions of dollars on behalf of its clients in both state and federal courts. His success in trial litigation helped him earn a spot on the 2016 and 2017 Super Lawyer lists. Givens Givens Sparks, a Tampa, Florida law firm representing individuals and their families in state and federal cases. With more than 135 years of combined professional experience, the Givens Givens Sparks team of lawyers is dedicated to the advocacy and protection of their clients and their families. To learn more about Givens Givens Sparks, please visit: http://www.givenssparks.com.